When it comes to any marketing, the importance of taking the time to understand your audience cannot be overstated enough. Marketing is all about communication, and how can you expect to properly open up a conversation with someone if you don't bother to learn the same language? This is especially true regarding both B2B and B2C marketing collateral, which aren't as different as you might think. You can approach things from similar angles and even use both channels as a way to convey the same message but, at the end of the day, the major qualities that separate one group from the next comes down to your understanding of your audience. B2C or "business-to-customer," on the other hand, is intended to side-step the rational side of it all and play more to a person's emotions. Your end goal is less "here is how my company can make your job easier" and more "here is how my company can make your life better." Concerning sheer market size, when you're going after a B2B audience you're usually talking about a much smaller group of people. It's much more of a niche audience, which lets you laser-focus your messaging on core pain points without worrying about alienating people who can't relate to them. 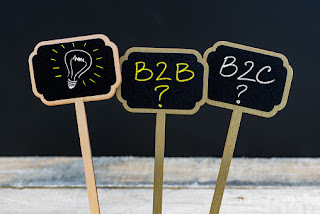 As stated, your ultimate goals in both B2B and B2C situations are often very similar. It's how you achieve those goals that will vary wildly. 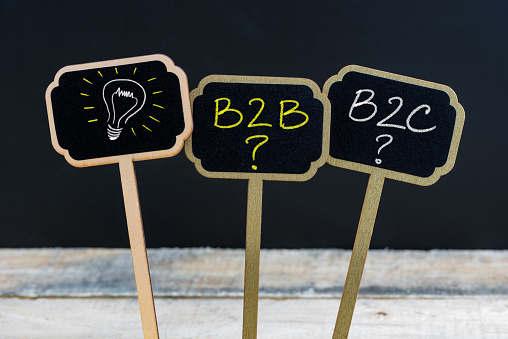 Case in point: both B2B and B2C customers are much more likely to make a sale if you can establish yourself as an authority in a topic area. B2C customers like their marketing collateral short and snappy, so real estate is at a premium. You have to get in and get out, all while still showing off how much you know in the process. With B2B customers, you can take your time. You can use more lengthy, highly detailed content that is filled with technical jargon not because the audience is more sophisticated, but because they're looking for the same thing in a totally different way.